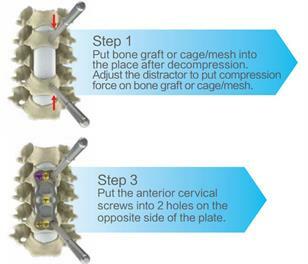 IVY Anterior Cervical Plate System allows surgeons to further compress bone graft and maintain the compression before plating, which will promote fusion for anterior cervical discectomy or corpectomy. 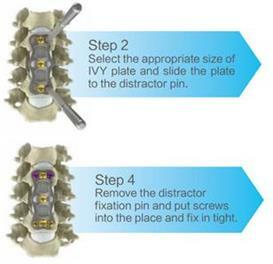 With patented lateral opened plate design and customized distraction system, IVY allows surgeon to insert the plate when bone graft is compressed. This will improve the fusion rate.